Alice Flesch Service Details - East Liverpool, Ohio | Dawson Funeral Home, Inc.
"With loving thoughts of an old friend." 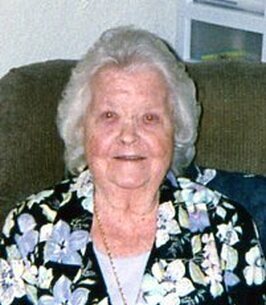 EAST LIVERPOOL – Alice E. Flesch, of Martin Street in East Liverpool, passed away Friday, October 5, 2018 at her home. She was 90. A daughter of the late Frank and Jennie Peterson Rough, she was born at home in Wellsville on March 18, 1928. She attended East Liverpool schools. For over 25 years, she worked at the former Hill’s Department Store, and had also been employed at Harker China, Homer Laughlin and Hall China, and had been a nurses’ aid at East Liverpool City Hospital at one time. Alice was a Presbyterian by faith and had enjoyed bowling, reading, gardening, crossword puzzles, and even roller skating as a younger woman. Preceding her in death on September 2, 2010 was her husband, William R. “Popeye” Flesch, whom she married on June 16, 1978. Survivors include her daughter, Linda Jones of Jacksonville, Florida, and three sons: Robert “Pepper” Lane and his wife, Cherri, of East Liverpool; Terry Lane and his wife, Lori, of Myrtle Beach, South Carolina; and Tracy Lane and his wife, Selisa, of Auburndale, Florida. Another son, Michael Lane, passed away on January 6, 1984. There are 16 grandchildren: Rob Lane and his wife, Tabatha, Barry Lane and his wife, Shelley, Jill Czech and her husband, Chad, Marci Connell and her husband, Charlie, Christie Creveling and her husband, Nik, Michelle Hurt and her husband, Tommy, Jimmy Jones and his wife, Beth, Joshua Lane, Dillon and Riley Trawick, Carly and Devon Lane, Babetta Lane, Michael Lane and his wife, Stephanie, Beth Lane, and Missy Williams and her husband, Keith; and 27 great-grandchildren and four great-great-grandchildren. In addition to her parents and son, she was preceded in death by a sister June Lombardozzi. Pastor Tom Schneidmiller will conduct a funeral service at 4:00 p.m. Monday at the Dawson Funeral Home where friends may visit from noon to 4 p.m.
Alice will be buried at Columbiana County Memorial Park. 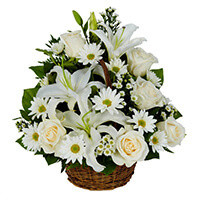 To send flowers to the family of Alice E. Flesch (Rough), please visit our Heartfelt Sympathies Store. I apologize for not being able to attend the services. I am currently unable to go down stairs. She was a good friend to Betty and I, she will be missed dearly. With loving thoughts of an old friend. We’re truly sorry for your loss. We will pray for your peace and comfort in knowing she’s in a better place. She’s gone home. It’s not good bye, only see you soon. Sending you all of our love in this time of sorrow.